Life Is What Happens: Crosswords, not cross words. The other day I wrote about the L'Arche community and their commitment to mentally disabled adults. I wrote about my experiences with Cameron and friends and neighbours who are involved with the Vanier institute. However, I had forgotten to mention something that happened a few days ago on the subway. I was coming home from a meeting downtown early enough to have avoided the crowds on the Yonge line. I had a seat to myself in an almost empty car, when a young man in his early twenties came and sat beside me. He had a crossword puzzle from the newspaper and a pencil in his hand. 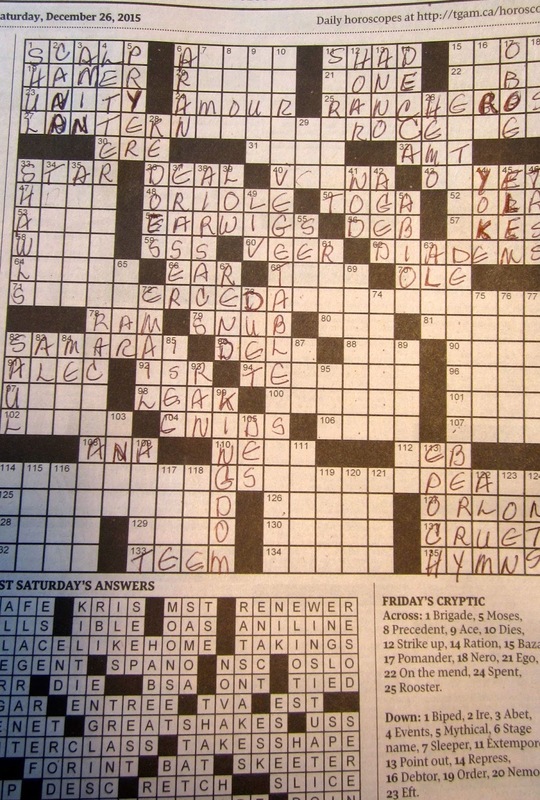 He pointed to the crossword puzzle. At first I was a little confused, as he was sitting very close and reaching out even closer with the puzzle. Then I made the connection. He wanted someone to help him find the answer. How did he know that I do at least two crosswords a day. Maybe he didn't, but someone out there did. I spent the next twenty minutes with him working on the puzzle. I would suggest the answers and he would write them down. It was actually fun. When I had to leave at my stop, he wandered over to another passenger, who wasn't as accommodating. The young man then moved onto another car. I wondered if he did this everyday, all day and I wondered where he lived. Was there someone making sure that he got home safely? I now understand the concept of the emotional connection. 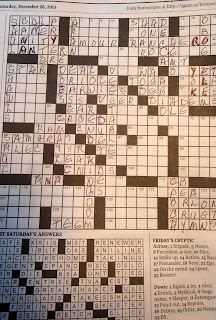 I finished a crossword puzzle that night, the same one we had worked on earlier. I thought often of that young man.